Guendalina Dondé is Head of Research at the Institute of Business Ethics in London. She writes, researches and speaks on a range of business ethics topics for the IBE. She is the main author of the IBE 2018 Ethics at Work: survey of employees reports and author of the IBE Corporate Ethics Policies and Programmes: 2016 UK and Continental Europe survey. She co-authored of the 2017 IBE Setting the Tone: a New Zealand perspective on ethical business leadership; the 2017 TEI & IBE Ethics and Compliance Handbook; the 2016 IBE Codes of Business Ethics: examples of good practice and of the French and Italian editions of the 2015 IBE Ethics at Work: 2015 survey of employees. 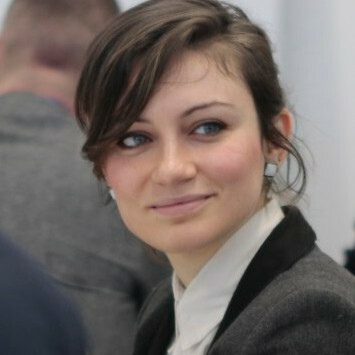 Before joining the IBE, she collaborated with the inter-university centre for business ethics and corporate social responsibility EconomEtica in developing the code of ethics for the Italian Association of Management Consultants and worked for CSR Europe, a European CSR Business Network based in Brussels. She holds a master’s degree in Business Ethics and CSR from the University of Trento in Italy. She is also responsible for advising organisations on corporate codes of ethics and policies, as well as other aspects of their ethics programmes, benchmarking them against other organisations. She collaborated in the development and delivered corporate ethics training to different audiences.